Store wood neatly. 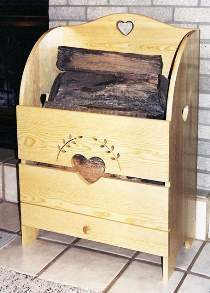 Keep fireplace wood dry and always at hand. Generous 24"W x 14"D bin. Lower drawer holds matches and newspaper. 37"H.